The diamond badge, an artistic and industrial rendering of a horse, is intended to attract a younger generation of car buyers in China. It will be used in Baojun’s upper-level models, GM said. The first vehicle to carry the new badge will be the Baojun RS-5 compact crossover, which is slated to go on sale in China in the first quarter. 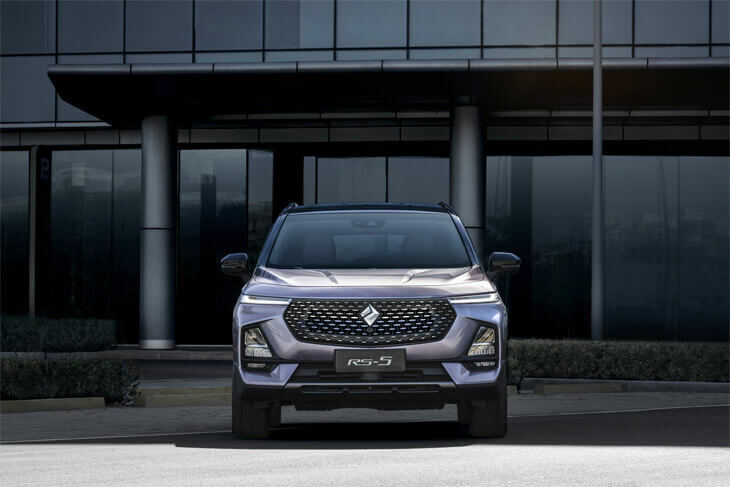 The Baojun RS-5 is based on Baojun's new advanced electronic architecture, featuring driver assistance and an intelligent connectivity system, GM added, without divulging additional details about the vehicle. SAIC-GM-Wuling, China’s largest minibus maker, started marketing passenger vehicles under the Baojun brand in 2011. Baojun’s product lineup features micro cars, compact sedans and crossovers and multipurpose vehicles. Starting prices for the vehicles vary from 36,800 yuan ($5,412) to 75,800 yuan. In 2018, Baojun’s China sales dropped 16 percent to 839,612. The 2018 tally boosted the brand’s accumulative deliveries in the past eight years to nearly 4 million, according to GM.